More milk or meat from forage, through improved feed efficiency, is vital to ensure farm profitability and is a key focus when formulating ForFarmers’ TOPGRASS grass seed mixtures. As well as good yield, persistency and disease resistance, these mixtures include many varieties with exceptional cell wall digestibility (DNDF) and high sugar (WSC). 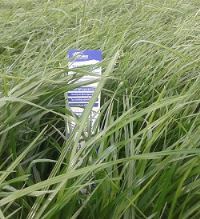 ForFarmers’ TOPGRASS leys are higher yielding, NIAB listed varieties that offer improved grassland productivity. The range includes the latest high-sugar grasses, with maximum fibre digestibility and good intake potential, to support extra milk production or improved liveweight gains. The benefits of using grasses with high DNDF range from improved milk yield and live weight gains to better rumen health and reduced nitrogen emissions – by up to 4.9%. Feeding high DNDF forage will help to stabilise rumen pH, increase dry matter intakes and, therefore, increase production from home- grown forage. Every 1% increase in cell wall digestibility results in around 0.25 litres more milk per cow per day. Water soluble carbohydrates are the sugars found inside the plant cells, rather than more complex carbohydrates that make up cell walls. They quickly fuel the rumen microbes to process more of the protein into milk and meat. At grazing, high-sugar grass is efficiently utilised and this leads to higher intakes. Dry matter intakes can increase by up to 25%, thanks to its improved palatability, and liveweight gains can be up to 20% higher.